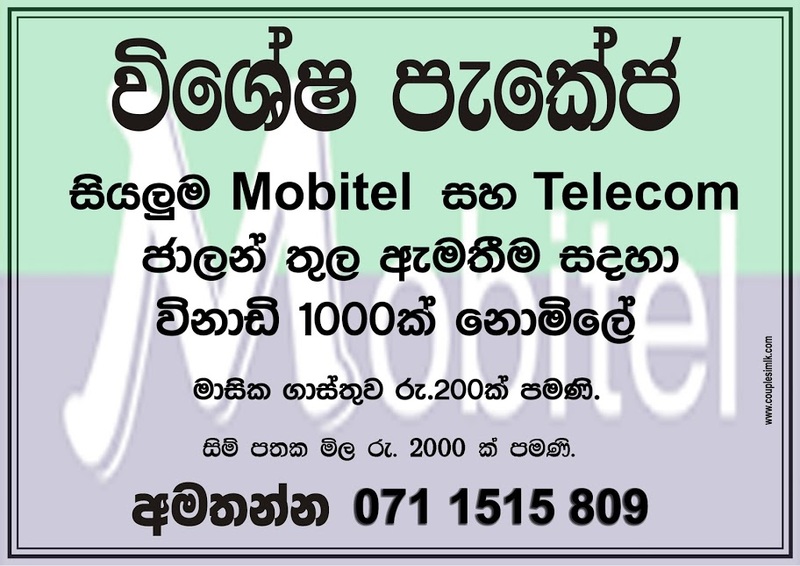 Sri lankan's leading Mobile Service Provider Mobitel introducing special call package for reasonable price with more benefits. This is unofficial Mobitel sim, that mean you cannot buy any Mobitel outlets in Sri lanka. 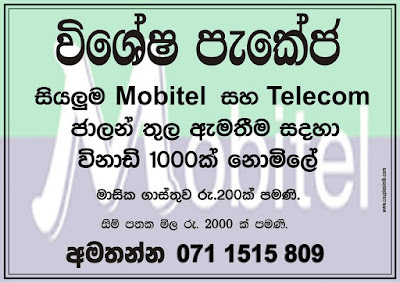 Mobitel special package provide free 1000 minutes for any Mobitel and Telecom land line numbers monthly. Monthly Rental is Rs.200.00 and Mobitel sim price is Rs 2000.00 only. Quick Delivery Service Available island wide.